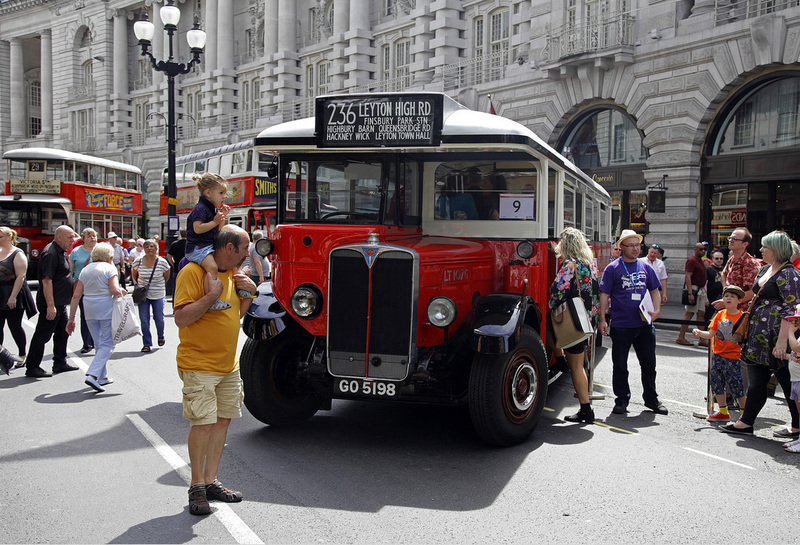 Last weekend saw a variety of buses displayed on Regent Street and an open day at Stockwell Bus Garage – both events staged as part of TfL’s “Year of the Bus.” A selection of photos from both events can be found below. More photos of the buses present can be found here on flickr. 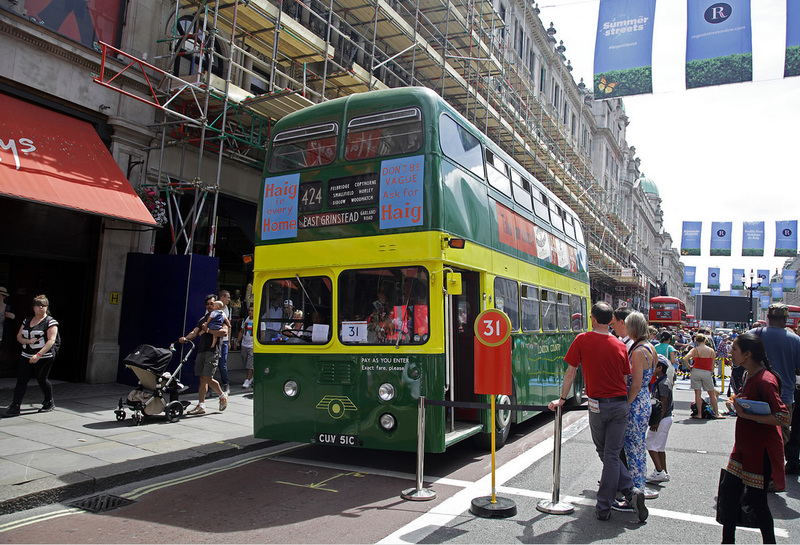 Possibly the one and only time that a LT Trolleybus has graced Regent Street. 1768 is a Q1 Trolleybus that has been superbly restored and is seen here blinded for the 667 which was the forerunner of today’s 267 bus. 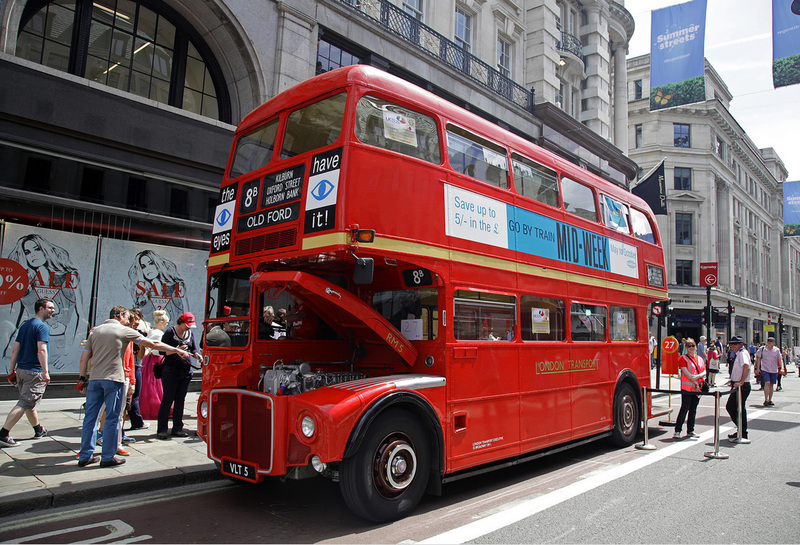 The S Type bus was manufactured in Walthamstow and regularly worked on route 12 as shown here. The S Type dates from the early 1920s. 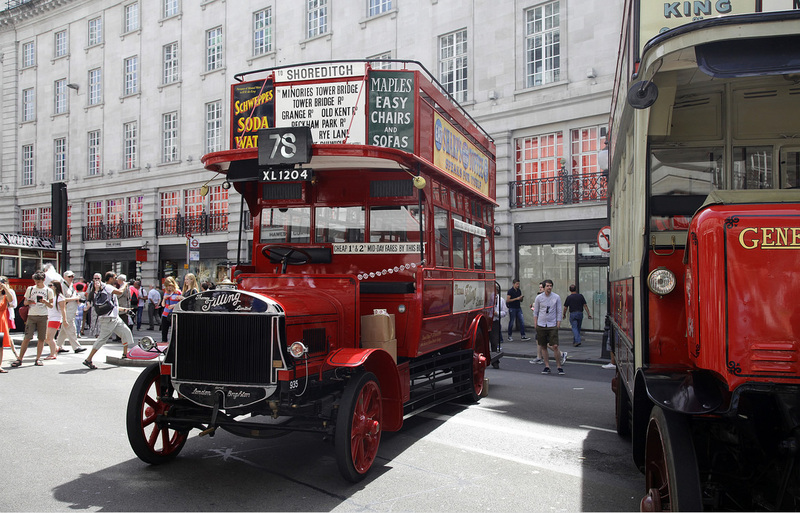 This bus dates from 1921 and was built at the General’s factory in Walthamstow. The K type replaced the B type bus (one of which is pictured at Stockwell below). 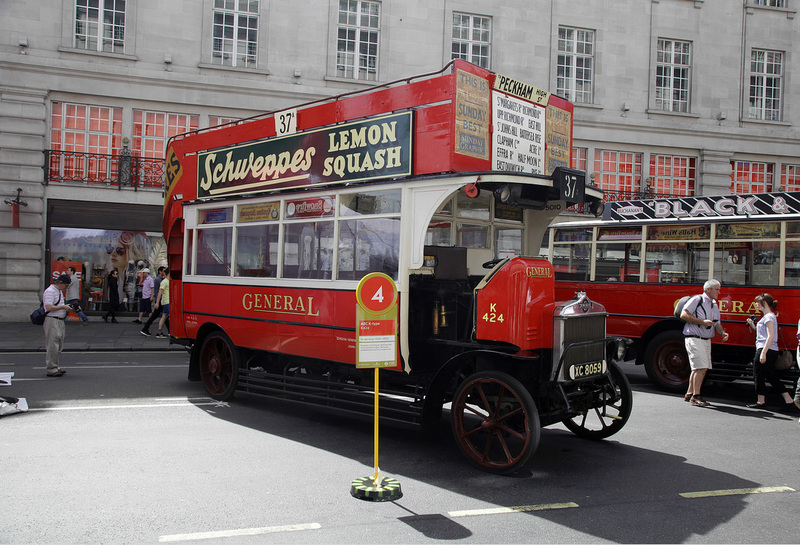 This is a Tilling Stevens TS3A petrol electric bus that dates from 1922. Thanks to some excellent information on Chris Stanley’s Flickr site I see that it was rescued from a scrapyard in 1970 and then painstakingly restored by Michael Banfield. Again the 78 route on the front still runs to this very day on an unchanged routing. If you want a successful route then run it for nearly a centrury! 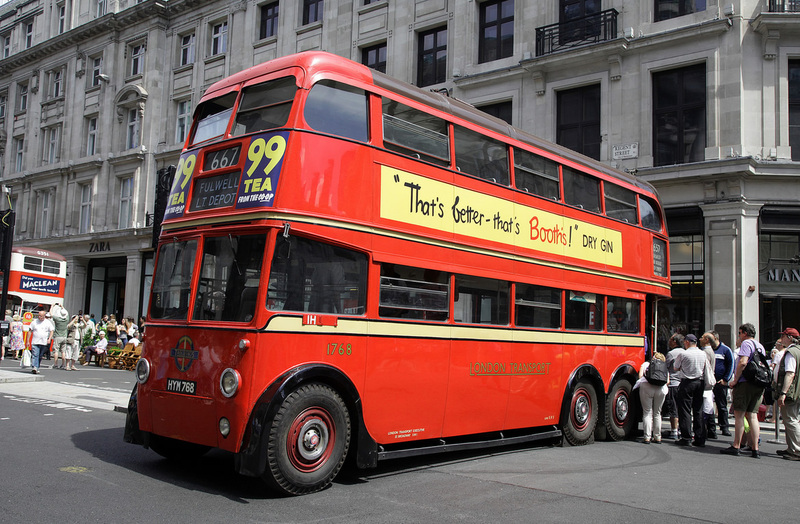 Known as a “Scooter,” LT1076 was seen at the Regent St Bus Cavalcade and is blinded for the 236 – another route that still exists although the bit through Leyton is now the W15. 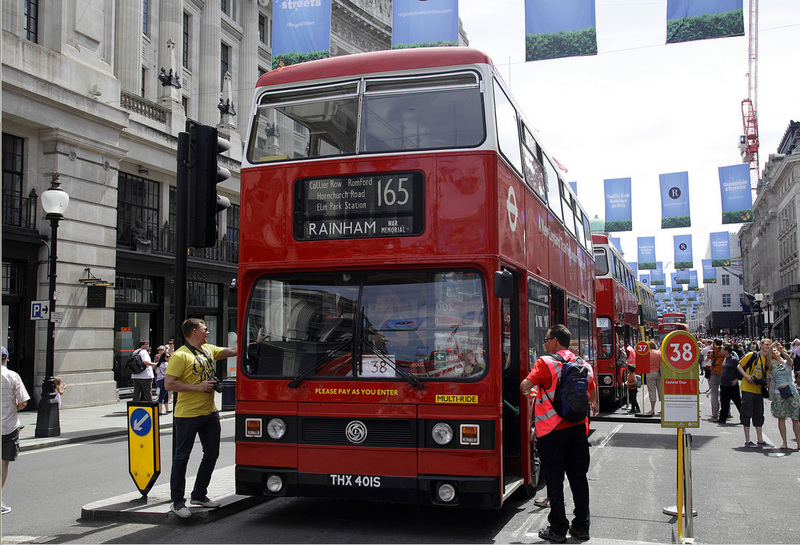 The W15 is the busiest single deck operated route in London with over 6m passengers per annum. Still looking splendid, this vehicle harks back to the days when LT provided deeply rural services in the counties surrounding London. Indeed this particular bus still earns a living working on private hire work. The recently fully restored RM2. It has been painted in green livery and has the experimental front design that the early prototypes had. 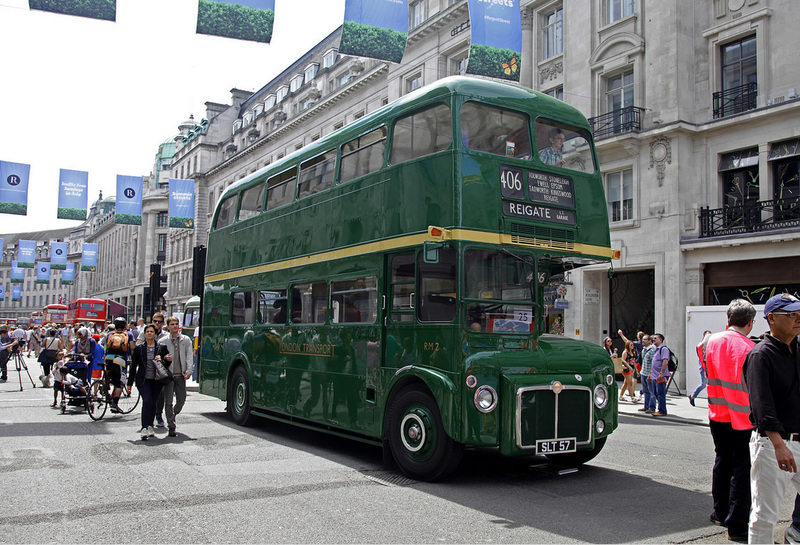 Representing the biggest fleet of standardised double deckers that has ever existed was RT2775. 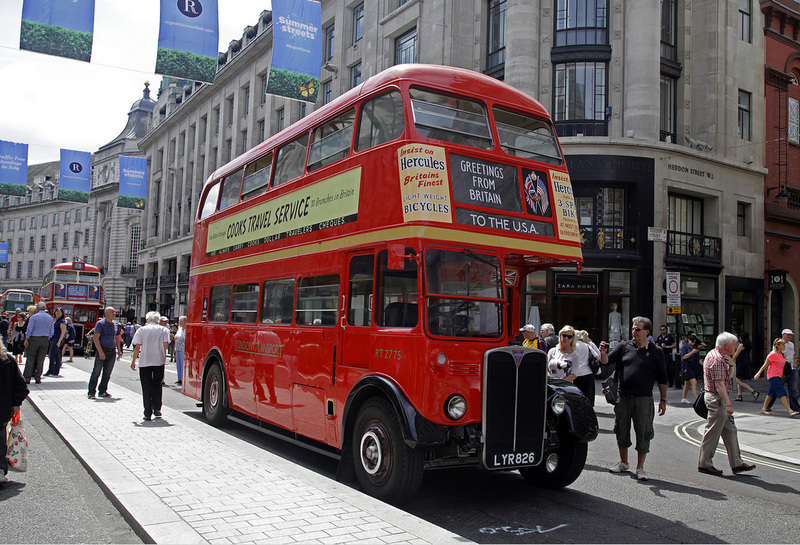 This RT has the honour of having taken part in a promotional trade tour of the USA and Canada in the early 1950s. As a result it has only had one body / chassis swap in its lifetime. It sports the Union Flag and GB plates as well as relevant blinds. This was the first of a batch of 8 Experimental Fleetlines that LT bought in the mid 60s. These were run by Country buses to evaluate crew and OPO forms of operation. 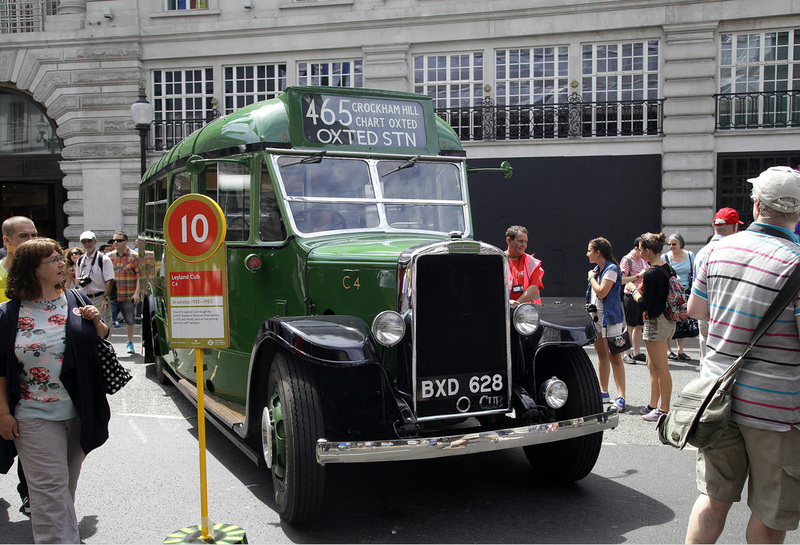 They also ran in London for comparative purposes against a batch of Leyland Atlanteans. XF1 is seen sporting a rather vivid green and yellow livery from London Country days. 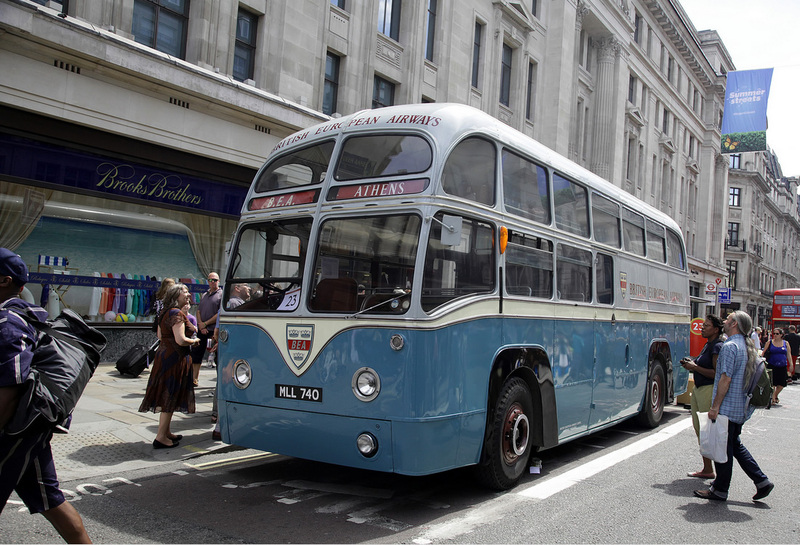 Representing the 1100 strong fleet of Leyland Titans delivered to London Transport was the first one – T1. 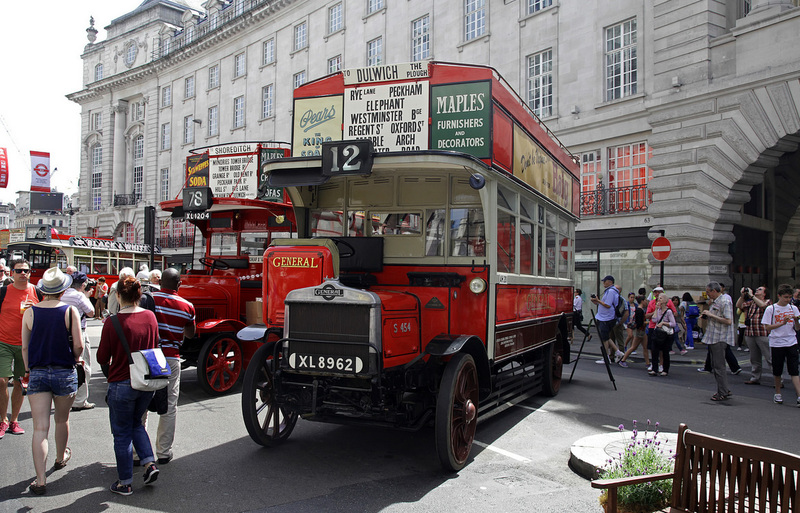 It is seen at the Regent St Bus Cavalcade blinded for a Romford area route where it worked its entire time in London. These unusual AEC Regal coaches had a raised rear seating area to provide more luggage space. 65 of these vehicles were built for BEA for airport transfer services between West London Air Terminal and Heathrow Airport in the 1950s. 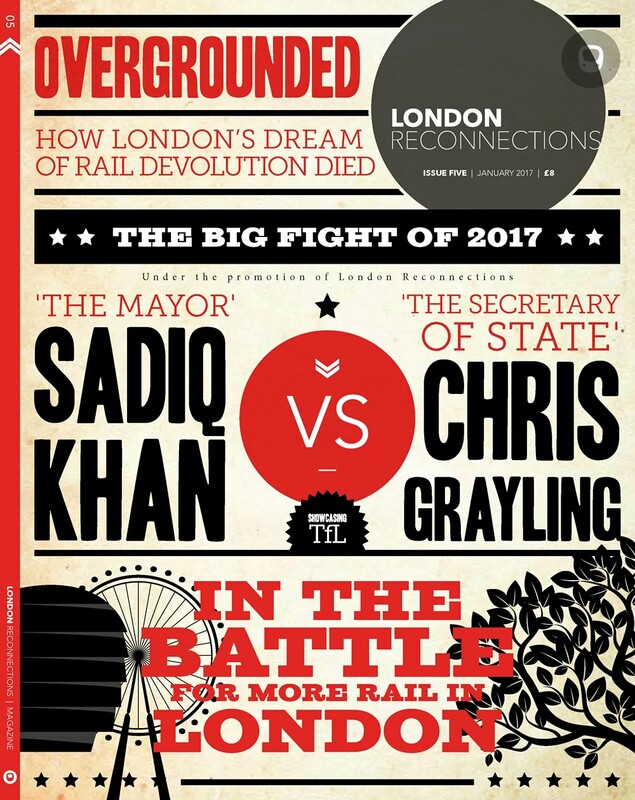 The only real reminder of the turmoil unleashed on the old LT bus operation in the 1980s when compulsory competitive tendering was introduced. 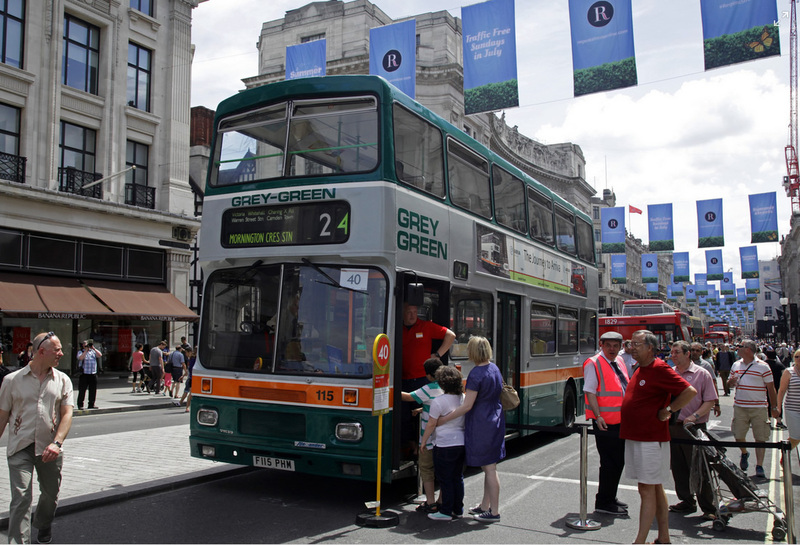 Grey-Green won the first “high profile” Central area route, the 24. 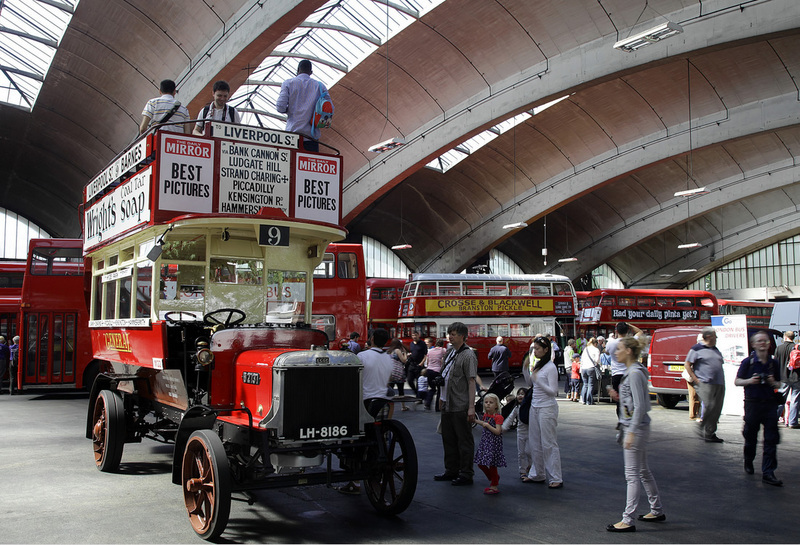 The London Transport Museum have preserved former Grey-Green 115, a Volvo Citybus / Alexander. 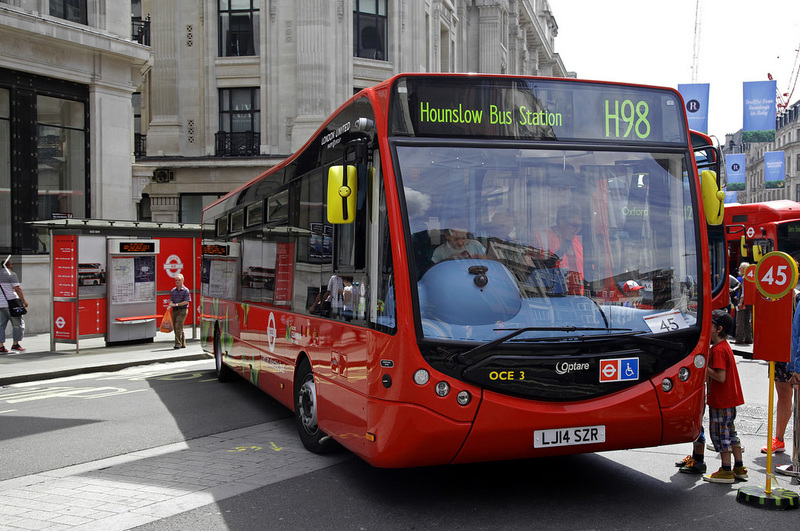 The next stage in the development of buses for London use is the all electric bus. 4 all electric Optare Metrocities are currently being trialled on the H98. 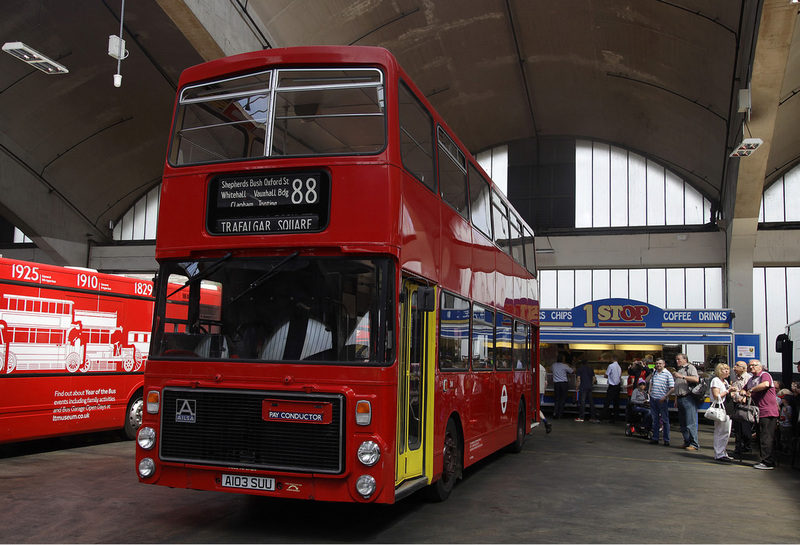 Meanwhile at Stockwell more buses were on view, this time in the setting of one of London’s most iconic bus garages. 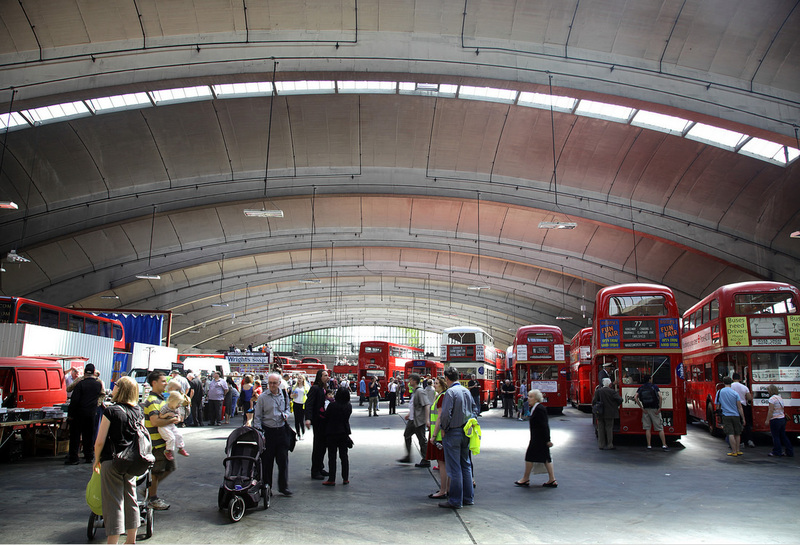 The amazing concrete roof of Stockwell Garage with people mingling between the buses on display. One of the highlights of Year of the Bus and marking the centenary of the start of WW1 has been the restoration on a B type bus. It has been fully restored to General livery but will soon be painted in khaki livery which it wore for its travel to the front. More on this bus, and its restoration, will feature on this site shortly. A nice touch, and something that demonstrated thought about what should be on display, the V3 harks back to the days of the vehicle evaluation trials. In some respects you could say this bus was a forerunner of the NB4L. 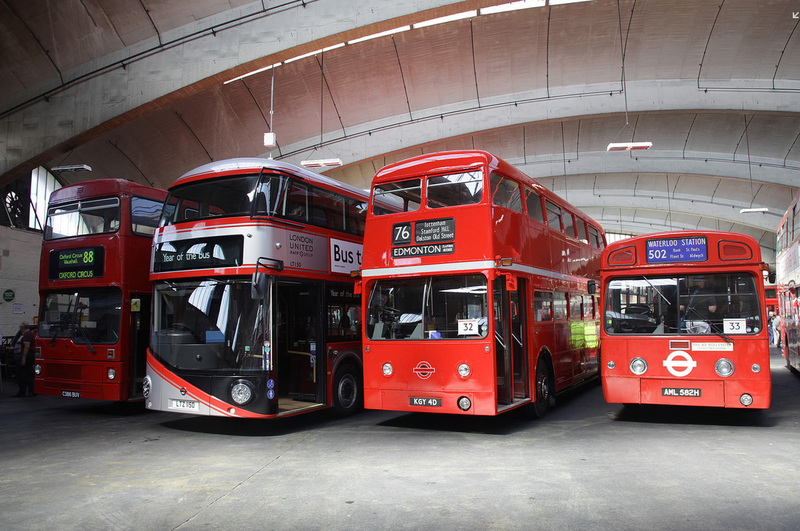 A mix of bus types over the decades parked up at Stockwell Garage. Metrobus M1386, London United LT150, FRM1 and MBA582. More photos can be found on Flickr here. For all photos, all rights are reserved.